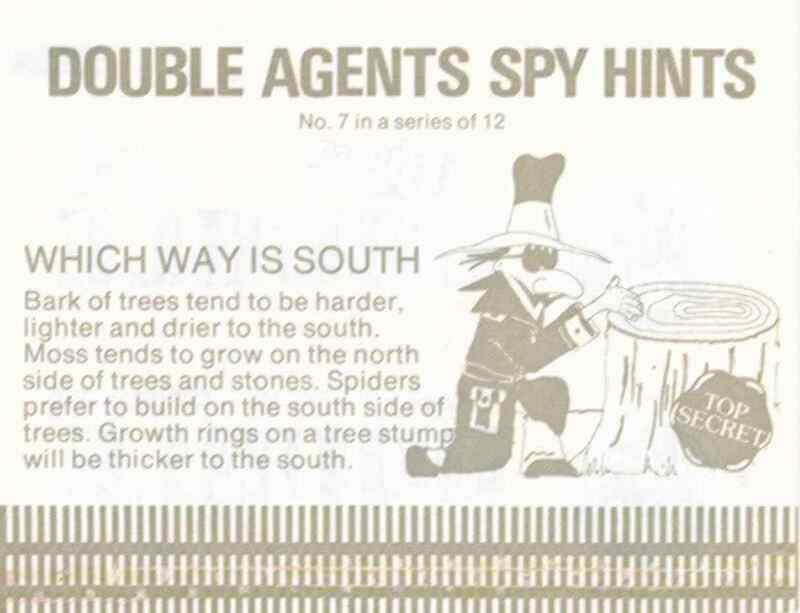 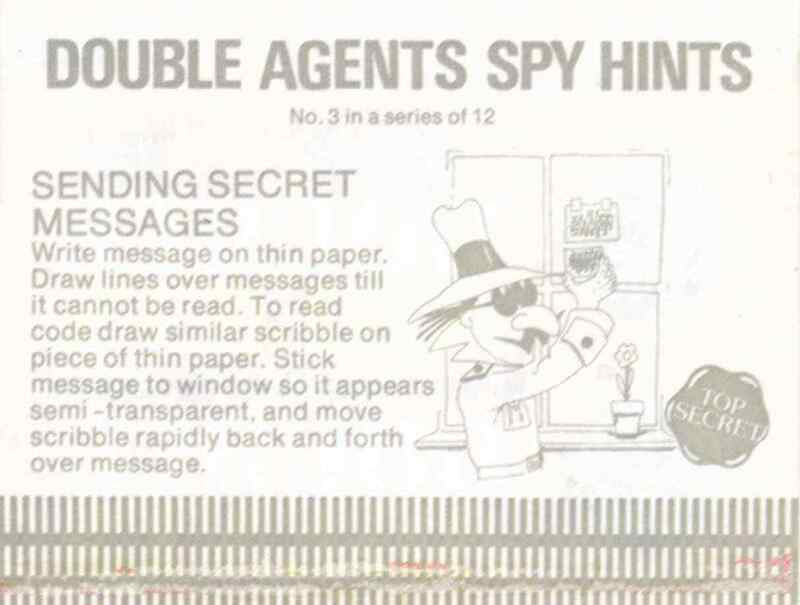 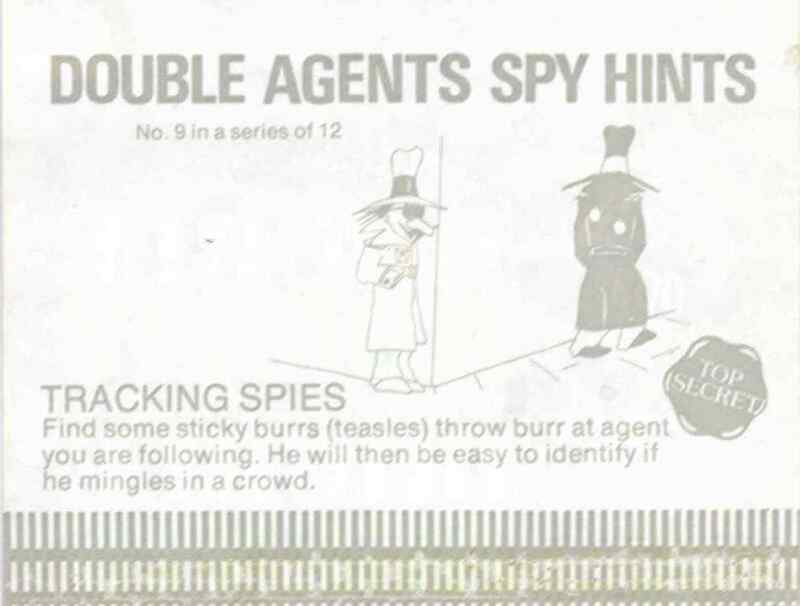 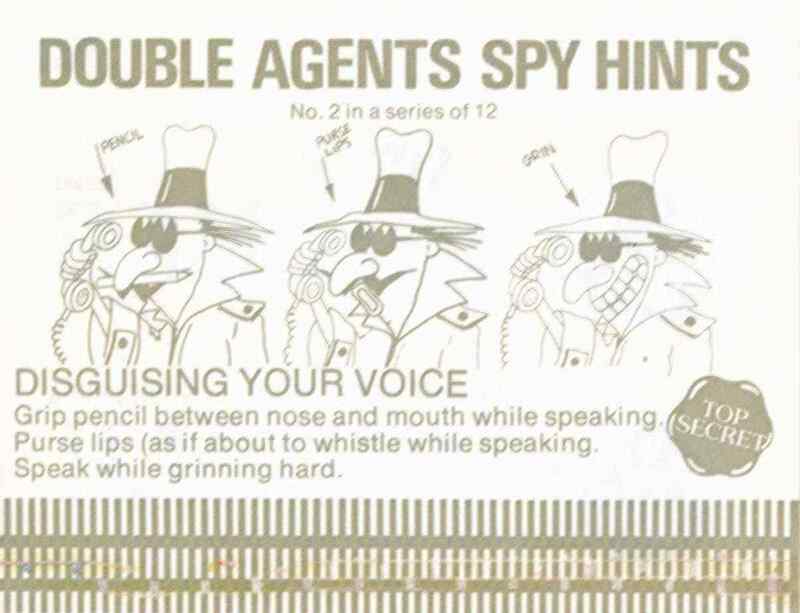 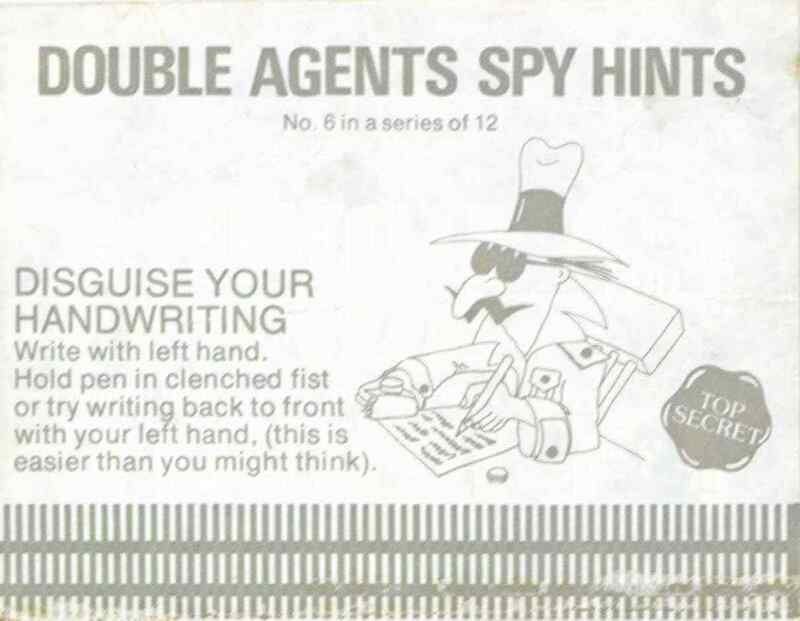 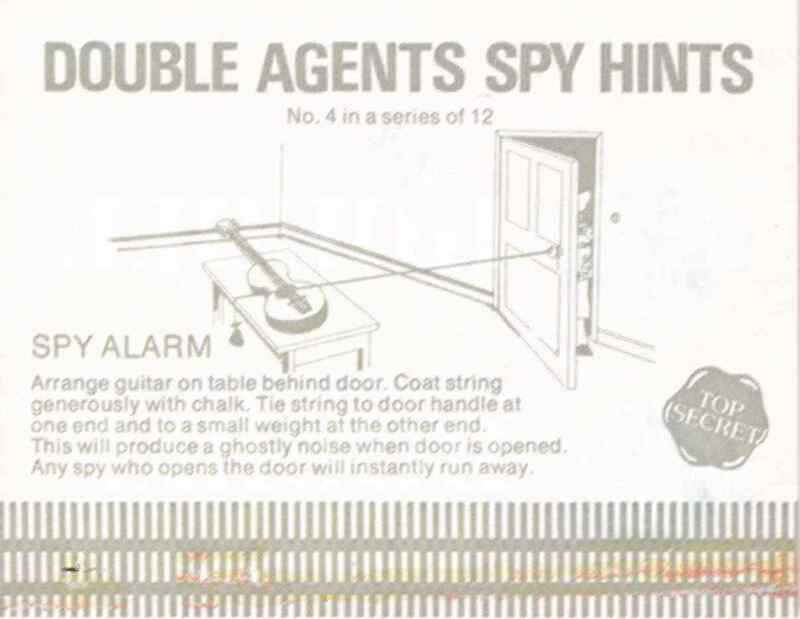 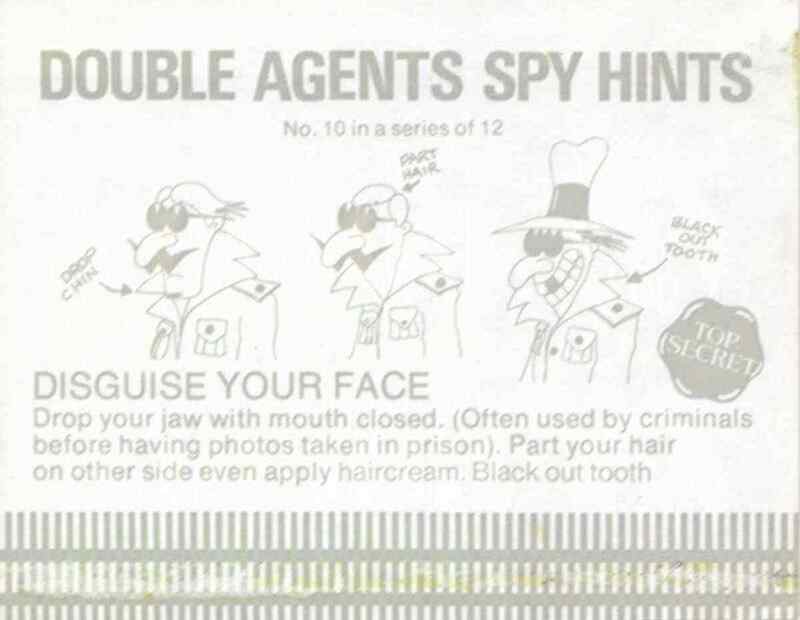 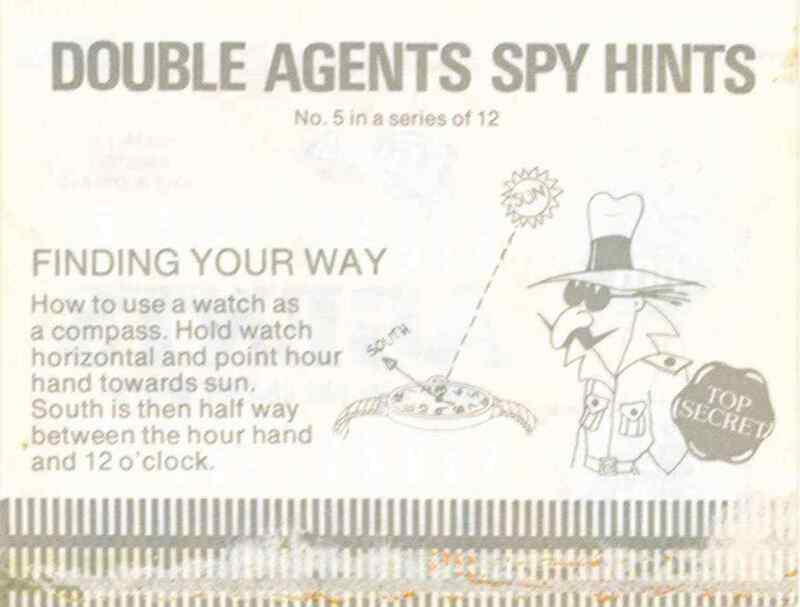 There were twenty-four spy hints, split evenly between series one and two. 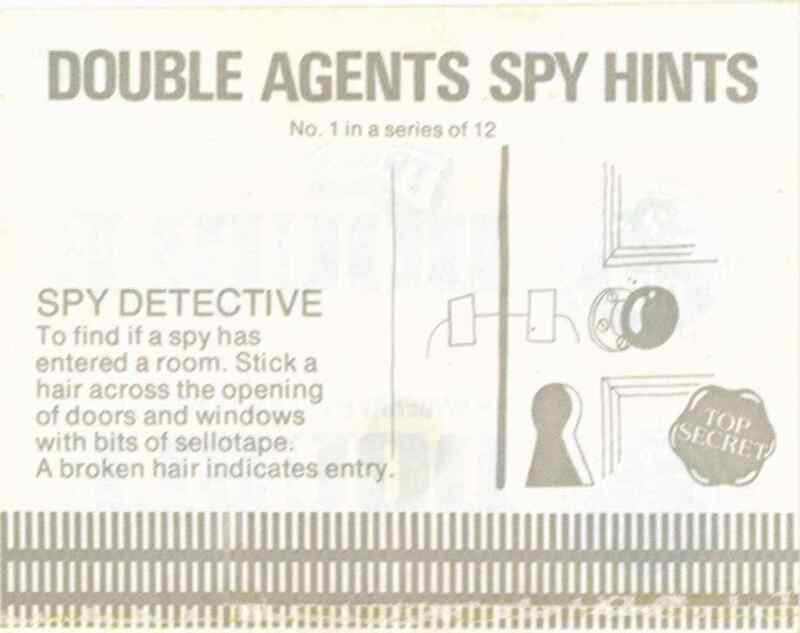 Here is series one. 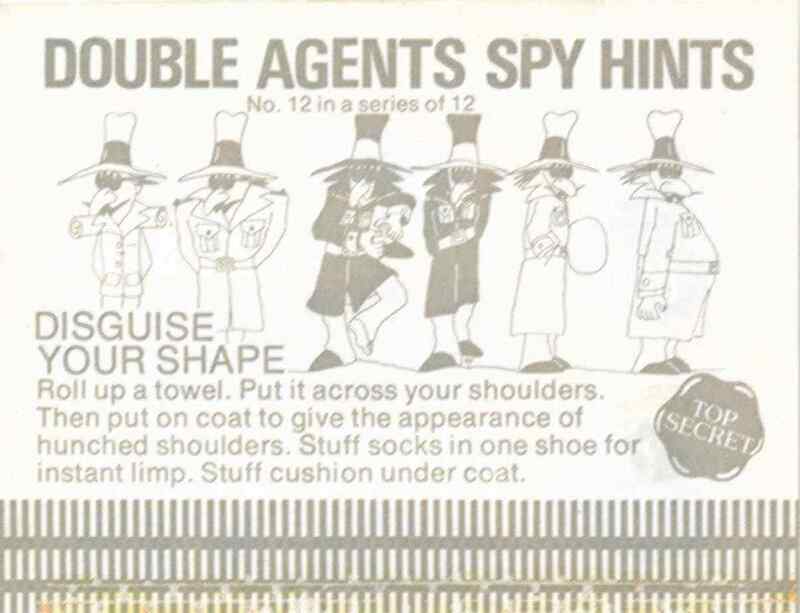 The images below are slightly larger sizer than the actual size of 4 by 3 inches. 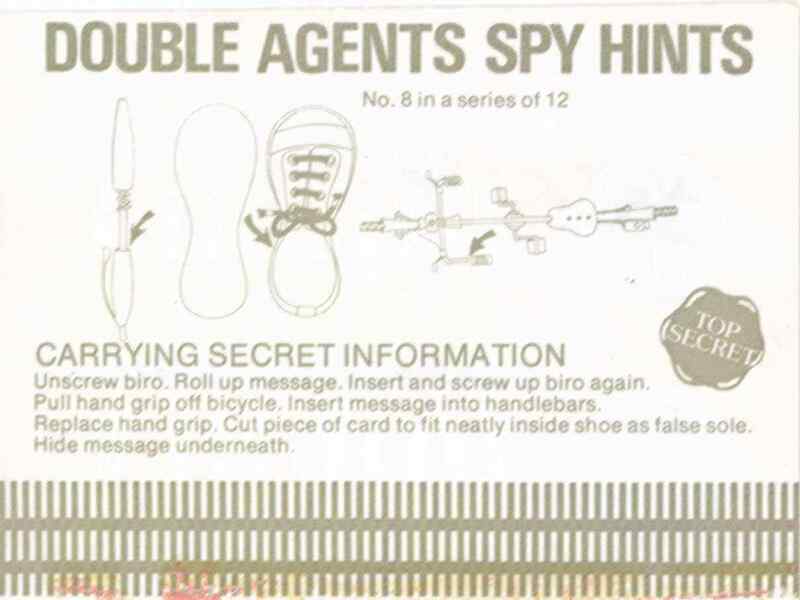 I can't get this one to work. 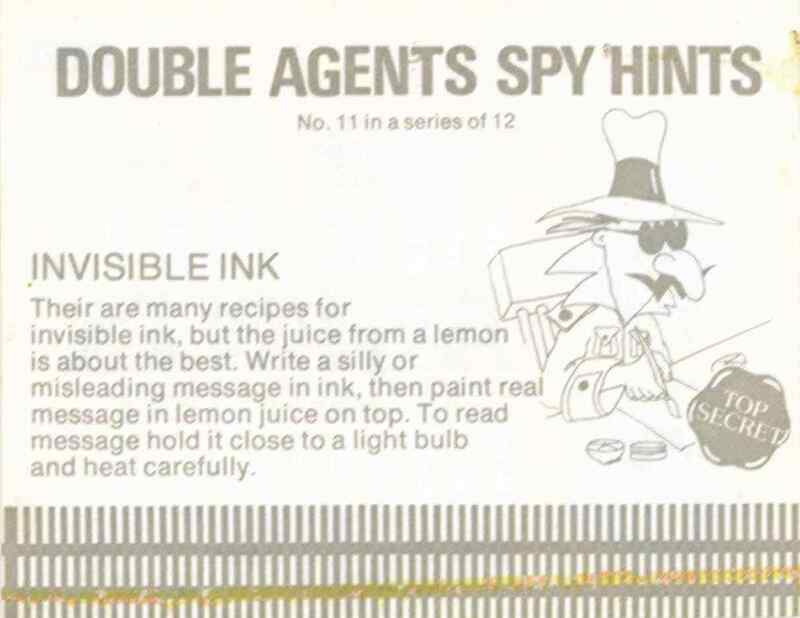 A cocktail stick appears to be the best writing tool, but I can't get the message to appear under a light bulb.